We are sad to announce the passing of Dame Elizabeth Taylor. Ms. Taylor died this morning at Cedars-Sinai Medical Center in Los Angeles. Elizabeth was instrumental in helping to launch this school. 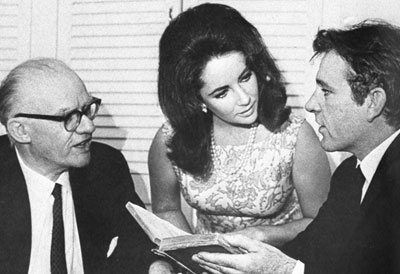 The first benefit for AMDA was a poetry reading by Elizabeth Taylor, Richard Burton and Phillip Burton held in 1964 at the Lunt-Fontanne Theatre during Richard’s record-breaking run of Hamlet. This unprecedented event became famous the world over; for a great film star to stop everything and to embrace not only performing poetry as a fundraiser, but to do so on the Broadway stage in front of the critical New York community was both a brave and exceedingly generous act. She was triumphant. The funds raised by this event were the first contributions to the beginning of AMDA. Tennessee Williams said of her that she was not only a flower, but the rock from which it sprang. Thank you, dear Elizabeth, for your kindness, generosity and artistry.